Posted on January 23, 2015	by Steve L.
Although not widely written down and shared, these informal definitions are widely held in the emergency management community, and may help planners, responders, adjunct agencies, and, of course, radio amateurs understand the dynamics. — Richard (Ryc) Lyden, KD0ZWM, Cottage Grove, Minnesota [Lyden has 25 years of experience in Public Safety, including 15 years of Emergency Management, and eight years in the US Air Force as a Medical Services Technician. He also served eight years in the Civil Air Patrol (CAP). He is a former Senior Planner, Minnesota Department of Public Safety, Division of Emergency Management; Disaster Preparedness specialist in the USAF; and Chairman, Northland Chapter, American Red Cross. – ARRL ARES e-letter editor]. 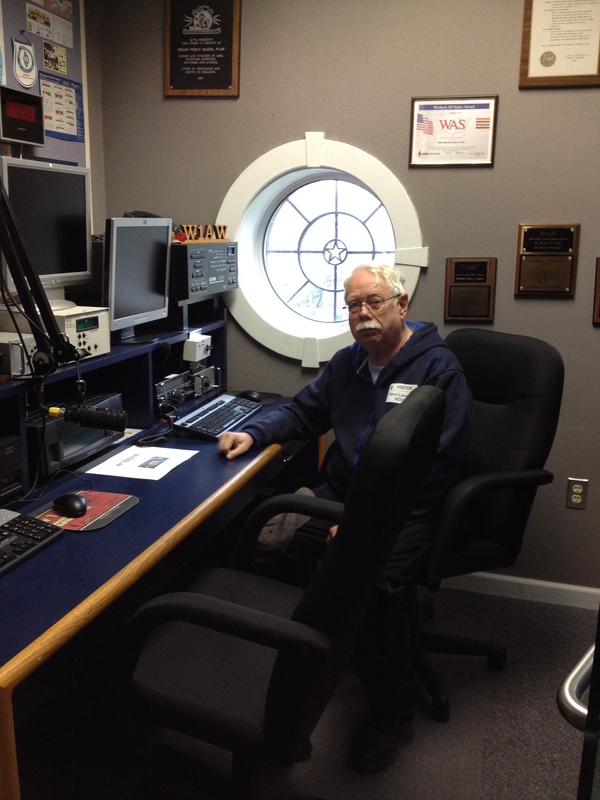 Posted on November 29, 2014	by Steve L.
I had a chance to visit W1AW on a trip up the east coast. I did not say a word fearing a pileup. I arrived too late to check in on the SATERN net. Posted on October 26, 2014	by Steve L.
Over the winter there will be testing of an ALE system for SATERN. It will be intermittent and on the digital channels, 3565 KHz, 5403.5 KHz (changed), 7065 KHz, 14065 KHz and 21065 KHz. We will be using MARS-ALE for those who can license it or PC-ALE otherwise. Stations will use RMS Express (RMSE) behind the ALE program in Winmor P2P mode. I realize the dependence on fldigi, which will work behind the ALE but Winmor allows selective calling of stations as well as the ability to collect messages from an unattended station. In addition RMSE is error correcting, which is probably critical during early phases of an emergency. RMSE, as I understand it, will not broadcast. It also has the ability to send and collect e-mails through the Winlink function, but that process is a bit tricky with ALE running. I have not had good luck with port emulators so most of the time the KISS system works. Once a path is established, NBEMS can be put in operation. Net name will SAT, this is already established on the recognized ALE list. I will create and post a basic .QRG file. Operationally, the ALE should only be used once a certain DELTA level is reached and only during the duration. Sounding will be on a 60 minute cycle, 2 channel per second for now and will run for 48 hour periods to accommodate propagation. MODT should include your location to give other stations an indication of performance. The program has a Listen Before Transmit feature and will prevent interference to other stations. If you are interested in participating write me. This will probably not happen until very early 2015. A closed (invitation only) Yahoo group has been created to coordinate the efforts. Posted on October 19, 2014	by Steve L.
We were at Delta IV with Hurricane Gonzalo this afternoon. It is expected to track southeast of Newfoundland’s Avalon Peninsula early Sunday morning Oct 19/2014, according to the latest forecast models, bringing with it heavy rain and strong wind gusts. So we are not off the hook yet. Please monitor the Voice Primary 14265 KHz or Digital Primary 14065 KHz Olivia 8-500. I have been experimenting with Automatic Link Establishment (ALE) and Winmor on the CFARS/MARS. I use the MARS-ALE version which is not publically available but the PC-ALE version is similar. This program requires that you have a radio capable of computer control and a tuner that has memories. The program cycles through preset frequencies and transmits an identification. This way a path to a particular station can be easily determined. This also allows nets where propagation requires that stations operate on different frequencies. We have been using the WINMOR program to handle traffic. It is not too difficult a learning curve and it is capable of storing an outgoing message for a remote station to retrieve. fldigi can also be run behind ALE but it lacks the ability to store messages. I you need any assistance with this contact me. I’m proposing using the digital channels as a starting point but also including 80 meters and 15 meters. The program has a Listen Before Transmit (LBT) function to prevent interference. Stations wishing to communicate can initiate contact through the ALE circuit and then switch to a voice channel if necessary. WINMOR operates with ARQ to ensure accuracy. Posted on May 30, 2014	by Steve L.
Your blogger has been off line for some time for several reasons. Mostly having returned the borrowed HF rig I had while in Red Deer. I am now in Pelly Saskatchewan after moving to Manitoba for a job that did not materialize. My time is being given to providing care for my 99 year old mother living at home in northern Virginia. Fortunately I came back with a new FT897D and we have a large yard big enough to handle a 135′ OCF dipole. I will be back to Virginia in the fall of 2014 for the winter and will have internet and an HF antenna on the house. I have not being doing anything with the digital net from Canada but it has become a successful model for other SATERN teams. I am now a Canadian Forces Auxiliary Radio System CFARS, CIW406 The SATERN manual has been updated and in Major Rick’s care now. Call signs will be changed eventually to reflect the move and I may get a W4 call while I am south. Posted on July 29, 2013	by Steve L.
Posted on July 26, 2013	by Steve L.